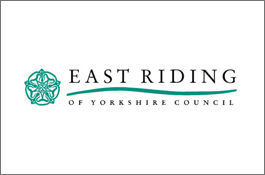 East Riding of Yorkshire Council is a unitary authority, having the powers of a non-metropolitan county and district council combined. It provides a full range of local government services including Council Tax billing, libraries, social services, processing planning applications, waste collection and disposal, and it is a local education authority. Civica is a market leader in software and services that help organisations to improve service delivery and efficiency, with specialist expertise in local government, social housing, enforcement and education. Blending consulting, software and managed services, the group supplies more than 1,900 customers in the UK, Australia, Asia Pacific and the USA, including 94% of the UK’s local authorities, more than 200 social housing organisations and 50 of the UK’s 53 police forces. The Council needed a simple and cost-effective way to keep in contact with various teams who work outside of the office, most notably the environmental health team. A method of sending job information (noise pollution, fly tipping, wasp nests, etc) to external officers and then receiving a ‘job complete’ notification was required. Handling this via conventional telephone calls is expensive, calls can’t always be connected and voice messages can be lost or missed. So, given the ease and speed of using the technology, SMS was chosen as the best way for communicating this information. East Riding of Yorkshire, like over 230 other councils, uses Civica Community Protection’s systems (known as APP and previously Flare) for core regulatory and enforcement functions. In order to minimise training and keep costs to a minimum, the chosen SMS solution had to work with this existing infrastructure. Working with Civica, ProcessFlows integrated text messaging into the Council’s system, enabling a bi-directional SMS workflow. When a call from a member of the public comes in, a reference code is created and sent out, via a text message, to the correct officer. Once the task is complete, the officer texts back the reference code and an additional code denoting the status of the job (complete, follow up, etc). Civica’s system automatically reads and routes these messages through the correct workflows such that the right members of staff are updated. SMS is providing the Council with a modern service delivery mechanism, which is realising cost and efficiency savings. “We have been using SMS to communicate internally and we plan to roll the system out to communicate with customers directly too, reminding them of appointments and giving them the option to change or cancel. This means we’re able to devote more time to customer service and provide our workers with a proven technology to improve efficiency.”” – Aimee Lane, System Coordinator, East Riding of Yorkshire Council.